Arguing for Greitens, defense attorney Jim Martin said the supposedly broken video tape of the alleged victim’s deposition “magically appeared” at 6 p.m. Wednesday, just one hour after the Missouri Special Investigative Committee on Oversight released a scathing report on the governor. “When we got it, it was too late to stop the House’s inaccurate statements,” Martin said. The defense accused Gardner of withholding evidence. The defense also asked to depose K.S., the woman at the center of the case, and her ex-husband again, and for Circuit Judge Rex Burlison to reconsider their motion to dismiss the felony indictment against Greitens again, in light of the “gross misconduct” brought on by Gardner and the prosecution. Burlison, who denied a motion to dismiss the case on March 26, told the defense to file motions requesting depositions of both the woman and her ex-husband, and to file another motion to dismiss. In addition to the video tape being presented to the defense, Martin argued that Tisaby lied under oath when he said he did not take notes during the interview with the former mistress of Greitens. The defense showed a picture of the investigator in court, sitting next to Gardner, taking notes. The defense team alleged she did not disclose that information to them. “We believe that victims need to be protected but this woman is not a victim,” Martin said. When asked why the tape wasn’t turned over to the defense earlier, Gardner said she needed time to review it herself first. “I never saw the tape until this week because we were under the impression that it wasn’t recording,” Gardner told the judge. About an hour into the hearing, Burlison called for a recess to discuss the “severe allegations” against Gardner and her team with both the prosecution and defense in his chambers. After about a 15-20 minute break, the hearing resumed, but Burlison did not allow the prosecution to defend the perjury allegations in the court room. Many lawmakers are calling for the governor to resign following the report that was released, which details the alleged conduct by Greitens with the woman who testified under oath that Greitens subjected her to non-consensual sexual activity and violence. 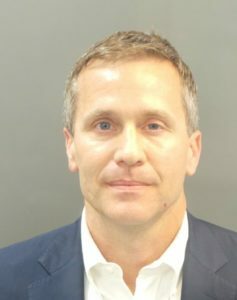 The report detailed the victim’s testimony that Greitens slapped her and called her a whore during one particular encounter. The report also detailed instances of slapping, shoving, and grabbing. On more than one occasion the woman was reduced to tears. The committee was on a fact-finding mission regarding Greitens’ affair with his St. Louis-based hairdresser and a tape made available to KMOVregarding an incident where he allegedly takes a picture of her without her consent and uses it to ensure her silence. He has denied the blackmail, has not confirmed or denied a picture, and called the investigation a “witch hunt” into a consensual relationship. The report, which focuses on the unnamed woman’s recounting of events, pulls into question just how consensual the relationship was and other claims that have been made in recent weeks. Greitens declined to testify and did not respond to any of the committee’s request for documents and sworn answers to written interrogatories. 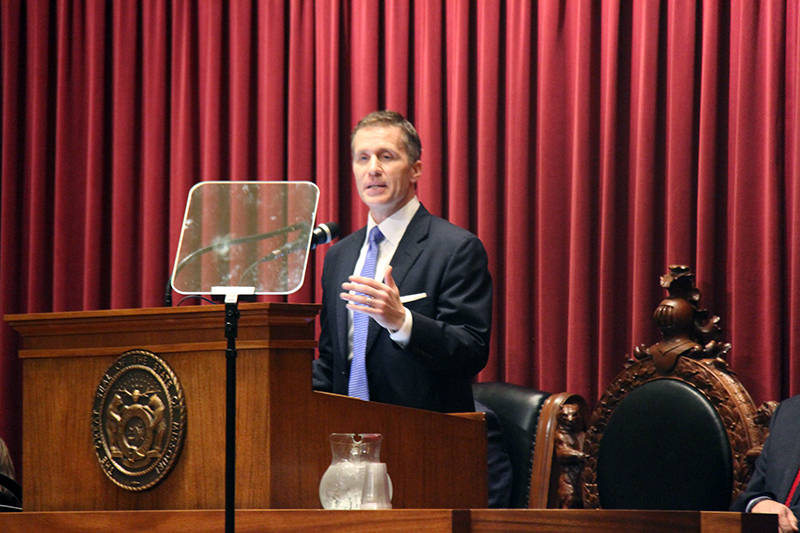 The House Special Investigative Committee on Oversight was formed by Speaker Todd Richardson on February 27, 2018, following the grand jury indictment of Greitens on a felony invasion-of-privacy charge in St. Louis.